Another Delco Guy In South Jersey: Pumping at Matt's Place! 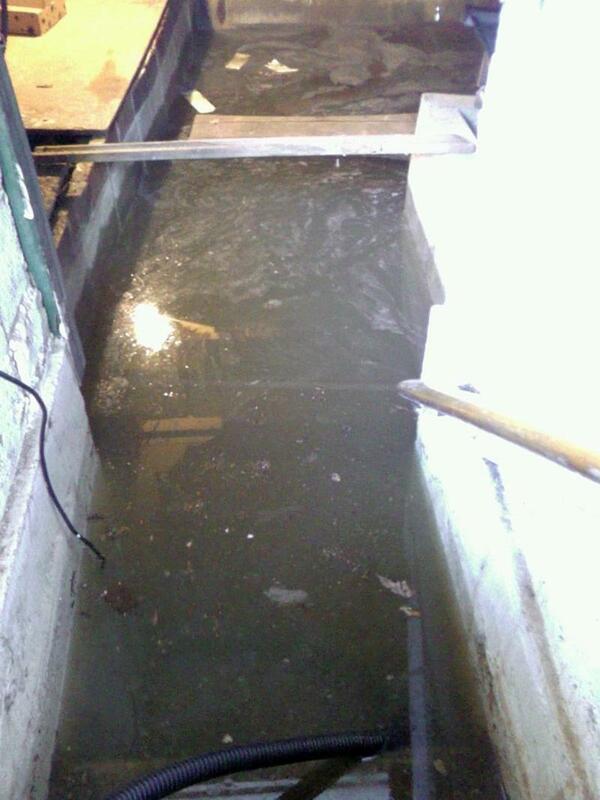 The recent rains have left my brother Matt's basement inundated. When I got here this morning there was about four and a half feet of water down there. There's a stout 1/2 HP Craftsman pumping down there right now and we've moved about a foot of water to the backyard so far. And only one trip to Home Depot so far!!! It took about 90 minutes to pump out the full 54" of water, and it created Lake Brookhaven in the back yard, but things at 3447 are drying out now. Thanks to li'l bro for the Dogfish Head Palo Santo Marron wood-aged brown ale he provided as payment for my services today. It's simply amazing! Hey, thank you for the help. Nothing like battling the flu for 4 days just to spend the last of them bailing out a failed pump, but it was great to have help. Yikes - glad you guys got it taken care of.